Older people on the Whangaparaoa Peninsula have the chance to meet others and socialise in the friendly, caring environment of a Selwyn Centre. We operate every Friday morning from 9:30 am to 12.00 noon and offer a programme of social games, gentle exercise, morning tea, outings and excursions, for $3.00 per guest. Ample parking is provided on site. Part-funded by The Selwyn Foundation, one of New Zealand’s largest charitable providers of quality aged care services, the Centre is for people over 65 who live alone or who may be in need of friendship, help and support, regardless of religious or cultural background. Activities are run by a trained coordinator and a team of volunteers, who can also play an advocacy role and liaise with other service agencies on behalf of the guests attending if needed. More than six hundred older adults of varying levels of independence and mobility now attend one of over thirty Selwyn Centres in Greater Auckland, Whangarei or Thames each week, with more Centres due to open later this year. Loneliness can be a serious health issue for older people, and research indicates that social interaction with others directly influences general health. It can also bring psychological benefits, such as delaying the onset of dementia. 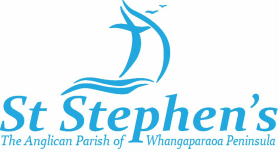 For further details on the Whangaparaoa Selwyn Centre, please contact Julie Taylor on 021 0278 3751​.